Especially, it is organised in parallel with an international exhibition on renewable energy called “Renewable Energy Vietnam 2018”, contributing to promoting the development trend of electricity in the world. The exhibitions attracted 180 entities from 22 countries and territories across the world, including six groups of international booths supported by international associations such as the Indian Electrical & Electronics Manufacturers’ Association, and Germany’s Federal Ministry for economic Affairs and Energy. 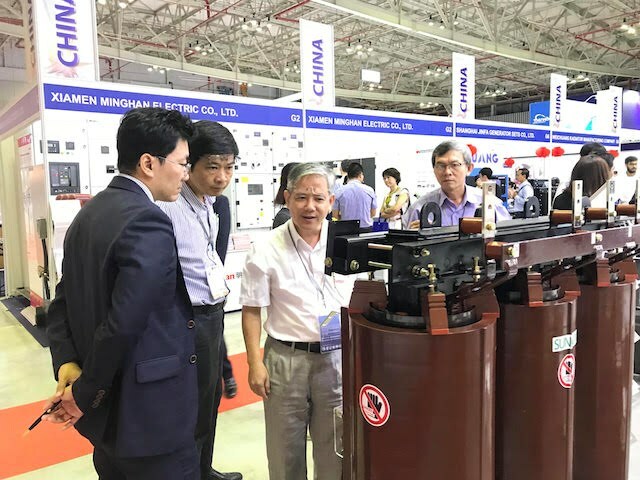 The events see big brands in energy and technology industry such as the East Sea Energy Environment Group, the Song La Technical Equipment Co., Ltd, and the Solar Energy. According to BT Tee, General Director of UBM Vietnam, the participation of a great number of enterprises in these two events shows the strong support of many international organisations. The three-day events offer a good chance for both visitors and exhibitors in the field in Vietnam, thus raising public awareness of their involvement in ensuring energy safety and consumption balance, as well as fostering renewable and fossil energy development in Vietnam. Survey results indicate that Vietnam is one of the countries with the most stable GDP growth rate in the last decade, which has also witnessed a strong industrialization speed and investment of foreign enterprises. Energy consumption in Vietnam is forecast to increase by 10-20 percent per year from now to 2020, creating many business opportunities in the field of equipment and technology supply for production projects.